There is no doubt that President Donald Trump has indeed marked the beginning of a new approach to the conflict. He did, after all, just break with seven decades of U.S. policy and recognize Jerusalem as the capital of Israel. Moving the American Embassy is also a new beginning. Every president before him, Republican and Democrat, has decided to sign the national security waiver and postpone the move. But what is his new approach? So far, we have little information except the latest on Jerusalem and a few indications of the “ultimate deal” that Trump has yet to unveil. Only a month ago, the New York Times reported on what Trump’s Middle East team was planning. Jason Greenblatt, David Friedman and Trump’s son-in-law Jared Kushner were prepared to take on the difficult issues of Jerusalem and Israeli settlements and think creatively. Yet Trump’s latest declaration on Jerusalem demonstrates that the “ultimate deal” is clearly skewed toward Israel and creativity may mean new ways of precluding a two-state solution. It’s difficult to imagine what Trump has in mind here. Exactly how will unilaterally recognizing Jerusalem as Israel’s capital, a decision that contradicts seven decades of international consensus and one of the key negotiation principles of the two-state solution, advance the peace process? Since 1967, the U.N. position and international consensus has repeated that Jerusalem’s status could not be altered unilaterally. This has been the basis for every Israeli-Palestinian negotiating framework including the Oslo Accords and Road Map and was reaffirmed as recently as December 2016 in Security Council 2334, which not only identified Israel’s role as one of “occupying Power” but also rejected any changes in Jerusalem’s composition since 1967. The idea that Trump’s unilateral recognition of Jerusalem as Israel’s capital is nothing more than a “recognition of reality” is already catching on. I’ve heard several apologists for Trump’s decision emphasize this point. The logic is simple and has the benefit of appealing to partial reality. Trump, after all, isn’t completely wrong. For the past 50 years, Israel has exercised almost complete control over Jerusalem, placing key political institutions in the city. 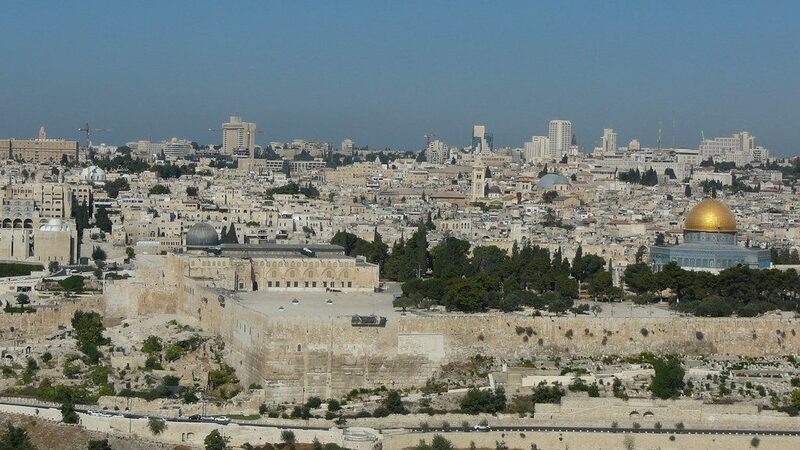 Moreover, in 1980, the Israeli Knesset passed the Jerusalem Law, which identified the city as the capital of Israel. The problem is that Trump has recognized a reality Israel has been trying to institutionalize for the past 50 years (and here’s the kicker) against the reality that international law prohibits it and no one supports it. To say one is simply recognizing the fact that Jerusalem is already the capital of Israel is thus to say that one is simply authorizing Israeli occupation of the city. More important, it is to say that one is ignoring international law and contradicting the international consensus. As the U.N. and U.S. has routinely restated, Israel is the occupying power and, as such, must comply with international law. Annexing Occupied East Jerusalem is, according to international law, illegal. 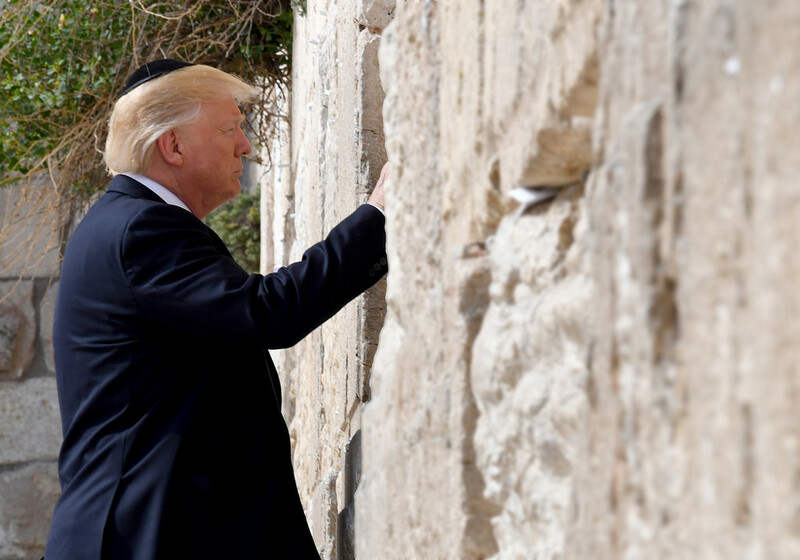 Trump can ignore the law and express his support for the Israeli occupation. Indeed, by recognizing Jerusalem as Israel’s capital, that’s implicitly what he’s done. The question is why didn’t he acknowledge that reality? One can speculate about the answers but one thing is clear: Trump has made an immoral and illegal choice about the reality he’s decided to recognize. This is one of the more confusing sections of Trump’s speech. It’s impossible to imagine what he means here given that Jerusalem is a final status issue and thus calling it Israel’s capital is “taking a position” on a final status issue. More importantly, it is affirming that the boundary of “Israeli sovereignty in Jerusalem” includes all of Jerusalem, east and west. Of course, Trump didn’t say that. He just said “Jerusalem.” But given the specifics of international law, the international consensus and decades of peace negotiations, Trump should have stated whether he was talking about West Jerusalem or all of it. Not doing so directly implies that he’s talking about the entire city. And that is certainly how the rest of the world, including Israel, has interpreted it. The fact that Trump hasn’t responded to the global criticism by clarifying that he wasn’t talking about all of Jerusalem suggests he very clearly was. Thus this part of his speech is nothing short of deception; a deplorable illustration of the proverbial cake one desires to both have and eat. I cannot agree with Trump more on this point: Let Jerusalem call forth the best in humanity. The only problem is that calling it Israel’s capital is anything but the “best of humanity” and actually pulls us “back and down to the old fights.” Since Israel’s occupation of East Jerusalem in 1967, the self-proclaimed Jewish state has been engaged in policies of Palestinian containment and dispossession alongside Israeli-Jewish expansion. Through building restrictions, land expropriation, home demolitions, revocations of residency rights, discrimination in budget allowances and municipal services, in addition to the forced isolation of Palestinians in East Jerusalem from Palestinians in the rest of the West Bank, Israel has been fueling the fight over Jerusalem. Committed to nothing short of a Jewish majority at the expense of Palestinian existence, it has created the conditions for ongoing violence and extremism. Such policies hardly reflect the best in humanity. On the contrary, they represent the worst about us humans: our propensity for turning group solidarity into the oppression of others. Closing a speech about the legitimation of an illegal and unjust occupation with these words is not only contradictory but demonstrates the extent of Trump’s cynicism.